That's according to Credit Suisse's weighty Global Wealth Report 2014. It's a finding that's likely to seriously surprise some people. 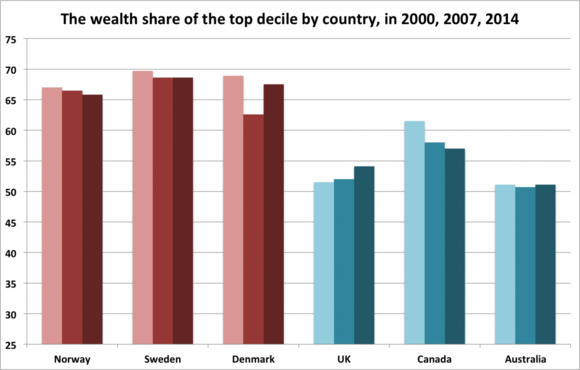 The top 10% of wealth holders in three Nordic countries (Norway, Sweden and Denmark) hold between 65 and 69 per cent of those nations' wealth. In comparison to the other developed economies in Europe, Scandinavian inequality on this measure seriously stands out: they're significantly above British, French, Italian or Spanish levels.